How can one eat local when it is freezing temperatures outside, and stays that way most of the day? Canning, freezing, drying and cold storage are methods used with various degrees of taste success. We cook and eat beef, pork and chicken from the freezer for 6+ months of the year, and save other things using the other methods. 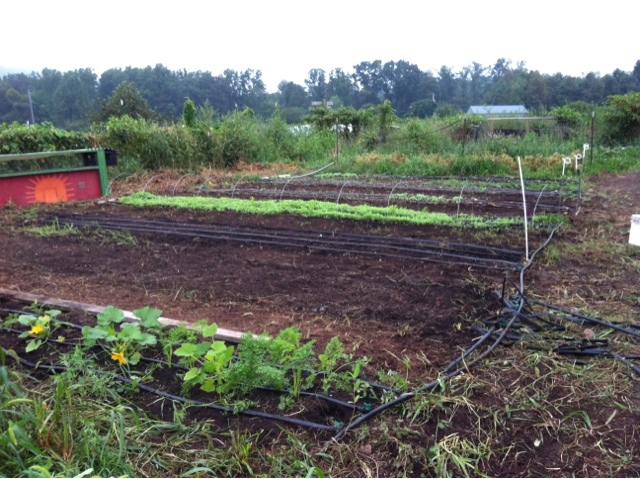 We also grow tons of food through the winter months. 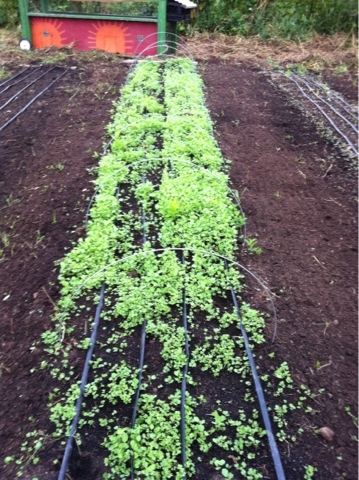 Many greens grow sweeter during the wintertime so we grow and eat them on a regular basis. There is a list of things proven by others, north of here, that will grow and keep in winter: salsify, radish, carrots, beets, greens, lettuce, spinach. For us, this list is a list of pure deliciousness, as we pull and eat these vegetables (started right now, in the warm weather of the fall) through much of the winter...they shrug off the cold and just keep growing! By the time it is really cold out we are actually starting seeds for summertime vegetables: tomatoes, peppers, eggplant all love a very long growing season, so seeds go in the ground just as we celebrate the new year, and then we tend to plants all year! Every year as the amount of daylight decreases we cross our fingers that some of the laying hens will continue to produce eggs. Last winter we had days with no eggs, or days where we would parse them out. We have a good sized flock that will start laying in the next few weeks and are hopeful they will produce in the winter months. The milk cow just calved so our dairy products are going to be local for some time to come! We share the milk with the calf and take a gallon at a time for our use, not even every day. We use that milk to produce as much as we are able!